The most important factors influencing the efficiency of a boat motor are the angle of the engine and the position of its anti-cavitation agent relative to the bottom plate. How to fix the motor on the boat? Before installing the outboard motor, it must be delivered to the installation site. In order to avoid problems during transportation, you must follow some rules. 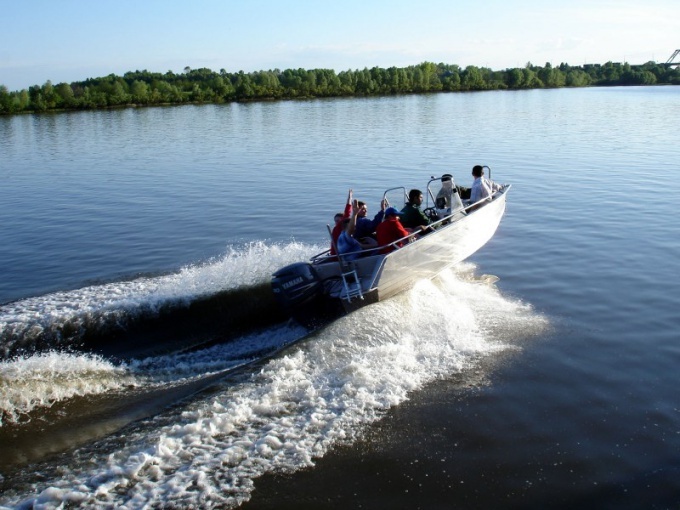 Methods of transportation of the outboard motor can vary depending on its type. Carefully read the instructions manual for your motor. Inspect it, paying special attention to signs and warning decals. As a rule, they indicated the position during transportation. Drain the fuel from the tank and deliver the motor to the mounting location. Determine the required magnitude of the displacement of the motor to the transom. In theory, the outboard motor should be shifted by 5 cm from the center of the transom to the starboard side of the boat. This offset is necessary in order to offset the torque arising from the operation of the screw. In practice, however, when you install the motor you must consider the profile of your boat. The more the profile of a "deep V" , the greater the offset required. Determine the mounting height of the motor. You should know that the anti-cavitation agent plate of the motor should be set at 3-5 cm below the bottom. This arrangement provides optimal conditions for the operation of the boat motor. Adjust the angle of the engine. The trim can be adjusted by changing the position of the pin in the clamp hinge of the engine. To select the tilt angle should be calculated from the desired speed, weather conditions, and the degree of loading your boat. You should know that too much trim reduces the handling of the boat and makes it less stable. When a large positive trim to the bow of the boat "lifted", which may lead to its overturning. At a negative angle of inclination of the boat "depends on" nose to the surface of the water. This leads to a reduction of speed.